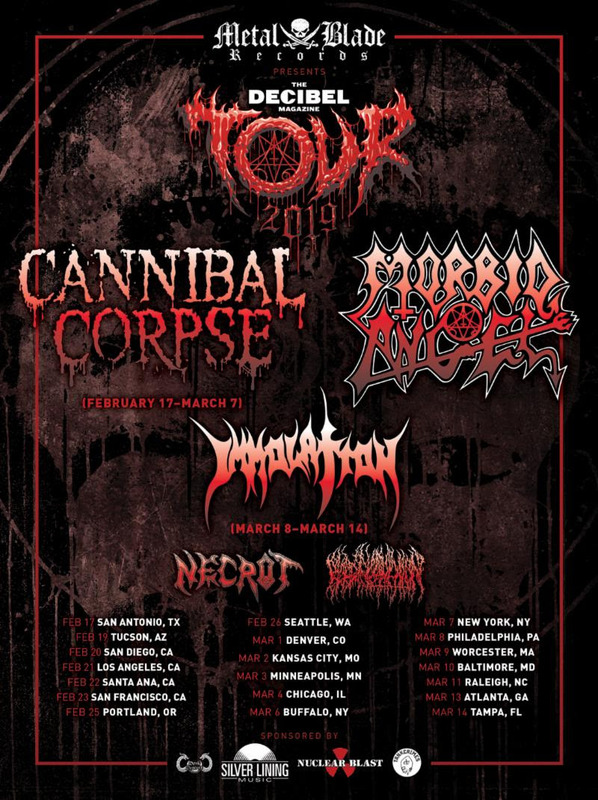 CANNIBAL CORPSE will kick off their US headlining tour in support of their upcoming Red Before Black full-length next week. The tour will commence on November 3rd and run through December 8th with support provided by Power Trip and Gatecreeper. See all confirmed dates below. Many words come to mind when you hear the name CANNIBAL CORPSE, but one truly defines the soon-to-be thirty-year death metal veterans: Unstoppable. Produced by Erik Rutan (Hate Eternal, Goatwhore), Red Before Black, the band’s fourteenth album, serves to not only reiterate this but to once more raise the stakes, making it very clear who sets the standard when it comes to always compelling music that is equally brutal and complex. LONG LIVE POWER TRIP & GATECREEPER. 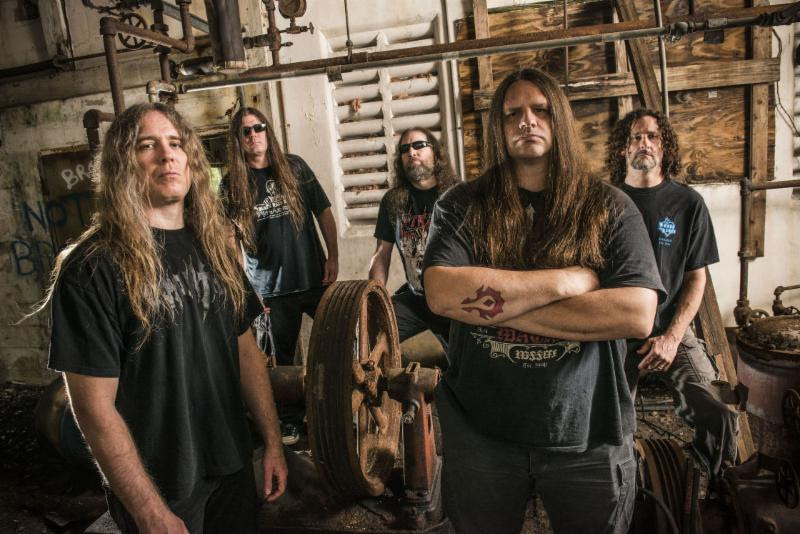 CANNIBAL CORPSE will kick off 2016 with one of the most bludgeoning Death Metal tour lineups of the year! The over month-long trek, presented by The Noise, will tear across North America beginning on February 12th and run through March 20th. The band will be joined by fellow Floridian Death Metal progenitors, Obituary, as direct support, followed by Canada’s Cryptopsy, and Los Angeles’ Abysmal Dawn. Tickets go on sale this Friday, December 11th, at 10:00am local time through all local and national ticket outlets. 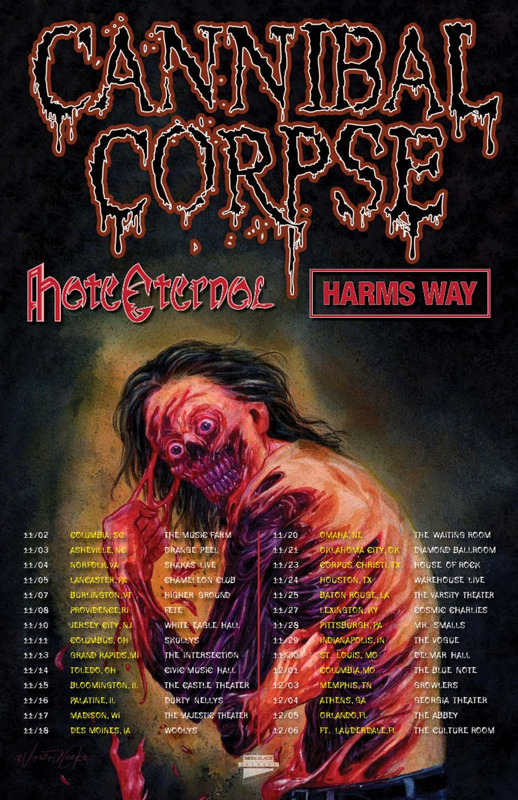 CANNIBAL CORPSE continues to tour in support of their A Skeletal Domain full-length, released last year via Metal Blade Records. The band’s thirteenth studio offering debuted at an astounding #32 on Billboard’s Top 200 chart upon its first week of release, making it the highest charting record in the band’s storied history! Produced by Mark Lewis (The Black Dahlia Murder, DevilDriver) at Audio Hammer Studios in Florida, the record boasts twelve ravenous tracks of confrontational, meticulously executed, ill-omened brutality, as only CANNIBAL CORPSE can deliver. To preview and purchase A Skeletal Domain, please visit: metalblade.com/cannibalcorpse. 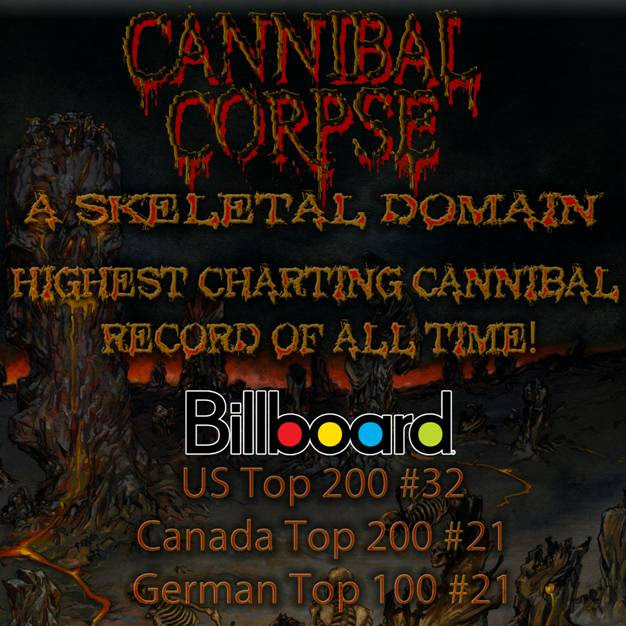 A Skeletal Domain, the latest full-length from American Death Metal icons, CANNIBAL CORPSE, debuted at an astounding #32 on Billboard’s Top 200 chart, making it the highest charting record in the band’s storied history! Additionally, A Skeletal Domain ranked in at #3 on the Hard Music chart, #5 on the Independent chart, #7 on Billboard’s Rock chart, #21 on the Physical Albums chart, #31 on the Top Current Albums chart, #59 on the Digital Albums chart and #4 on iTunes Metal! 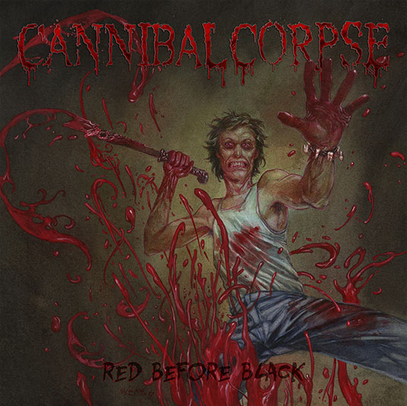 In Canada, the record also broke CANNIBAL CORPSE‘s previous charting records landing at #21 on the Top 200 Current Albums chart, #4 on the Hard Music chart, #58 on Digital chart, #39 on iTunes’ Top 200, #5 on iTunes’ Rock chart and a flooring #2 on iTunes’ Metal chart! The band pummeled in Germany as well with A Skeletal Domain rivaling all the band’s prior positions peaking at #21 on the Top 100 Albums chart, #21 on the Media Control charts and position #19 on the Media Market charts. Elsewhere, the record debuted at #21 on the UK Rock/Metal charts, #39 on the UK Independent Albums charts, #28 in Austria and #50 in Switzerland. 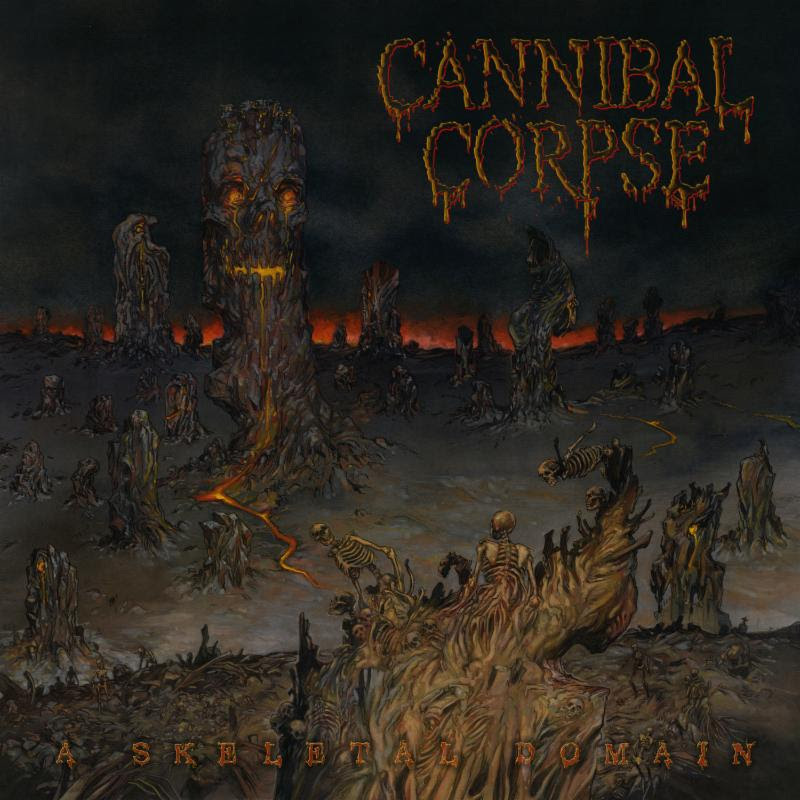 A Skeletal Domain marks CANNIBAL CORPSE‘s thirteenth studio album. Produced by Mark Lewis (The Black Dahlia Murder, DevilDriver) at Audio Hammer Studios, the record boasts twelve ravenous tracks of confrontational, meticulously executed, ill-omened brutality as only CANNIBAL CORPSE can deliver. In related A Skeletal Domain news, today CANNIBAL CORPSE is pleased to unveil the official new video for third cut of depravity, “Kill Or Become.” Shot at Kelly’s Hideaway in Seffner, Florida and directed by critically lauded videographer David Brodsky of MyGoodEye (Goatwhore, Hellyeah, Whitechapel, Municipal Waste et al), the zombie-strewn, nightmarishly awesome clip fluctuates from color and black and white and offers up a delicious visual inundation of blood, guts and gastric fluids. Check it out at http://www.metalblade.com/cannibalcorpse. And don’t forget your chainsaw! A Skeletal Domain is out NOW via Metal Blade Records. Order yours today at THIS LOCATION and check out the band’s newly launched website at http://www.cannibalcorpse.net! 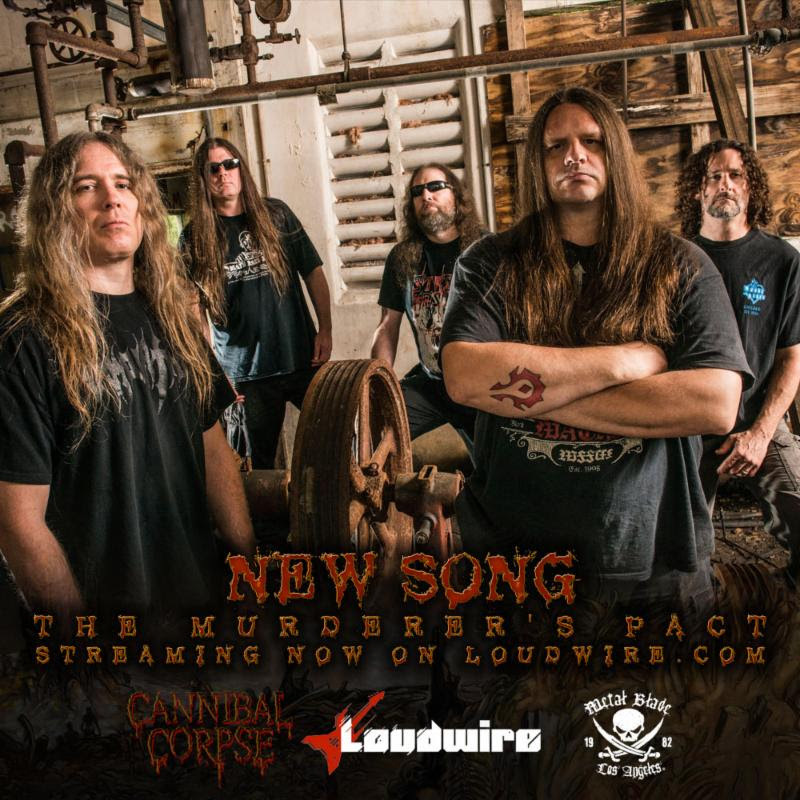 Following its premiere this past weekend on Full Metal Jackie’s syndicated radio show, today long-running death metal behemoths, CANNIBAL CORPSE, deliver “The Murderer’s Pact” via empire sound portal, Loudwire. “The Murderer’s Pact” serves as the sixth cut of sonic punishment from CANNIBAL CORPSE‘s forthcoming A Skeletal Domain full-length, set for official detonation via Metal Blade Records on September 16th, 2014. Get brutal with “The Murderer’s Pact,” now playing at THIS LOCATION. In related CANNIBAL CORPSE happenings, the band will unleash their first-ever official authorized biography. Written by Joel McIver, author of Justice For All: The Truth About Metallica and biographies on Black Sabbath, Slayer, Slipknot, and Queens Of The Stone Age,Bible Of Butchery – Cannibal Corpse: The Official Biography will contain over 150 pages loaded with photos from the band’s collection, available everywhere later this month. A Skeletal Domain will be released in North America on September 16th, 2014 via Metal Blade Records. Point your browser to metalblade.com/cannibalcorpse where you’ll witness the audio menace of second track, “Sadistic Embodiment” as well as a host of preorder bundles. This weekend, Death Metal devotees will get to hear the devouring cadence of CANNIBAL COPRSE‘s “The Murderer’s Pact” from their forthcoming new full-length, A Skeletal Domain, along with an in-depth interview with bassist Alex Webster, on Full Metal Jackie’s syndicated radio show! Full Metal Jackie Radio is two hours of fist-pounding Metal, hosted by renowned metal radio personality Full Metal Jackie (FMQB Metal Host Of The Year, four time winner), featuring regular interviews with many of Metal’s biggest names, past and present. The show is syndicated on over seventy-five stations nationwide. 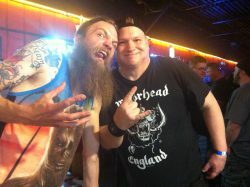 Visit www.fullmetaljackieradio.com for more details, and a list of stations carrying the show. “The Murderer’s Pact” premiere comes on the heels of the release of CANNIBAL CORPSE‘s thirteenth full-length. With A Skeletal Domain, the band has decidedly switched gears, opting to work with producer Mark Lewis (The Black Dahlia Murder, DevilDriver) at Audio Hammer Studios, after having tracked their previous three outings (Kill, Evisceration Plague, Torture) with Erik Rutan. Boasting twelve ominous tracks in forty-four spine-fraying minutes, the result is a massive, belligerent, and deliberate aural attack that finds the band at their peak of their notoriously hyper-kinetic, meticulously executed brutality. A Skeletal Domain will be released in North America on September 16th, 2014 via Metal Blade records. Point your browser to THIS LOCATION where you’ll witness the audio menace of second track, “Sadistic Embodiment” as well as a host of preorder bundles.